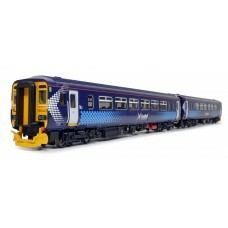 RT156-111 Class 156 - Set Number 156445 Abellio - Scotrail Saltire Livery. 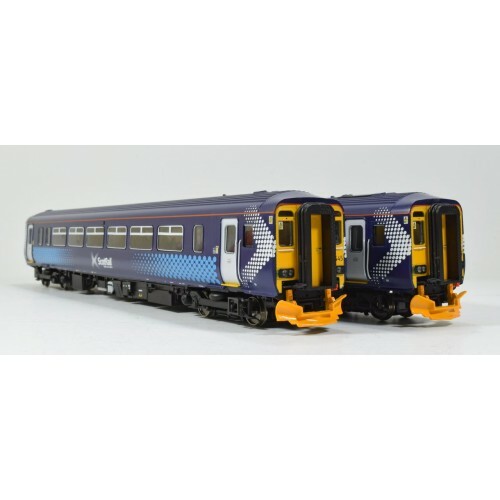 This highly detailed model is a limited edition Saltire Liveried Class 156 with Abellio Branding and is limited to 200 pieces only. 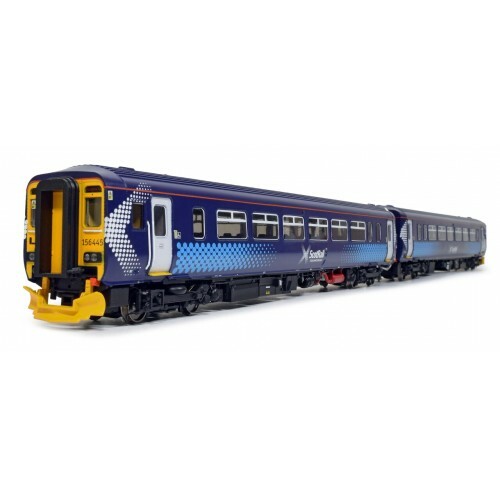 ScotRail Purple Seating, Fitted Toilet, Drivers cab detailing, Operational door lights (On DCC Only), Bi Directional Lighting, Carriage lighting, High Specification Underframe. Bodyshell & underfloor, High specification paint finish.